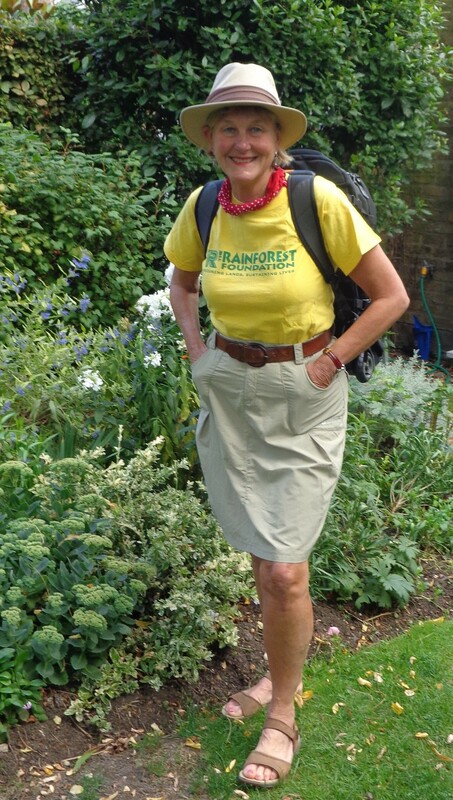 Rosemary Brown, a former staff member at the Rainforest Foundation UK (RFUK) has set off on a round-the- world trip, offsetting the emissions of her travels by donating to the RFUK an amount equivalent to her adventure’s carbon footprint. Rosemary’s trip is in remembrance of Nellie Bly, a pioneer of investigative journalism, whose work resulted in historic reforms for women in asylums, sweatshops and prisons. Rosemary intends to follow the footsteps of Nellie’s record-breaking round the world excursion which she completed in just 72 days, 125 years ago. By donating to the RFUK in this unusual way, Rosemary aims to support the reduction of tropical deforestation, which is the second largest cause of climate change as the forests are a vital store of carbon. The RFUK helps stop this; our work helps to protect rainforests from palm oil farming and illegal logging activity. “To offset the carbon emissions from my expedition, I made a donation to the Rainforest Foundation UK, where I once worked, and where I learnt, first-hand, about the role that rainforests play in countering climate change… and I also know my donation will make a real difference,” said Rosemary.